The life of a paper file for any type of loan travels through several departments and hands before it is fully closed or funded. Considering the fact that there are usually multiple files being worked on simultaneously throughout the office, it is very easy for a file to be misplaced or lost in the transition of the loan process. An effective applicant tracking system can allow an organization to track multiple loan files with ease during each step of the loan process. This type of file tracking system is ideal for the banking and loan industry especially, since the file tracking software allows users to log detailed notes for other users to see – making the loan process move along timely and more effectively. Many Loan Officers and Mortgage Brokers ensure an iron clad applicant tracking system is in place within their organization to ensure that Loan Officers have the constant ability to keep up with the stips which are raised once a file reaches the processing stage. Loan Processors and Underwriters can add notes to the applicant tracking system, which enable the Loan Officers to work on the discrepancies before the physical file is returned to them. 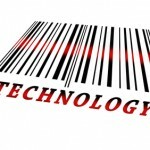 What Can You Do with an Applicant Tracking System? Aside from providing a more accurate way of locating files, an applicant tracking system can provide more stability to any financial office. However implementing the right applicant tracking system may take some research and focus on a few fine points. When looking for an accurate applicant tracking system, you should look for a system that offers both an effective file tracking system, a customizable layout to your niche industry as well as a print on demand feature to keep up with the creation of new files. Maintaining an applicant tracking system which provides these features will create a more effective level of production within your organization just by keeping all users on the same page. 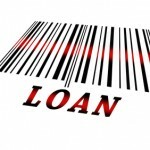 In the finance industry, any little change can make or break a loan approval. Having the ability to track changes to an applicant file is vital to the effectiveness of closing that loan. FILETACTICS offers a file tracking software which can enhance your applicant tracking system to perfection. With a digital print on demand service offered by Intaglio, you have the ability to easily create bar codes and labels for your files, even color code them, in order to conveniently add new borrower files to your database. Not only can this increase your monthly closing ratios, but your income as well. Having an effective applicant tracking system can increase the amount of time it takes to communicate the issues on a loan file, which in turn, can increase your production accordingly. In other words, an effective applicant tracking system can virtually increase your monthly commissions! This entry was posted in Applicant Tracking System, Banking Field, Document Management, File Color Coding Tracking System, File Tracking Software, File Tracking System, File Tracking Sytem Benefits, Mortgage and Loan Fields and tagged applicant file management, applicant tracking system, color coding, color coding system, file tracking software, file tracking system, FILETACTICS, mortgage files, organization, paper file system, records management, success by Jo Anne. Bookmark the permalink.